Can't be arsed to look at the how's and what nots of why he was struck off, but doesn't surprise me that a meme generating charlatan who promoted his scam falim gum is no longer a registered medical practioner. 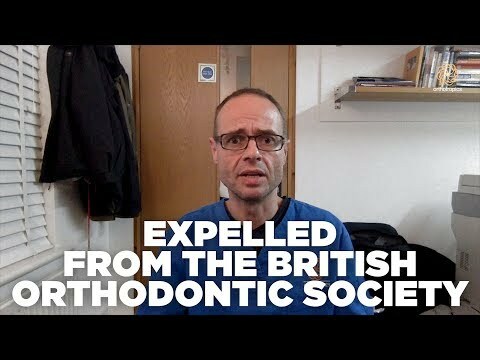 Orthodontic practice is a tangible, peer review science and is very limited in what they can do to teeth positioning within an existing jawline. Facial or jawline reconstruction is outside of peer-reviewed Orthodontic procedures. I learned this age 18 when I was told braces were my only option, anything more drastic would be out complete facial reconstruction if I wanted bigger mandibles. In term of that video he said something about "social media posts deceiving the wider public" I'm sure his affiliation with the incel boards like sluthate and bodybuilding forum didn't help matters. Maybe this is retribution for affiliating with mass shooters- real or otherwise. AllWomenAreLikeThat wrote: Can't be arsed to look at the how's and what nots of why he was struck off, but doesn't surprise me that a meme generating charlatan who promoted his scam falim gum is no longer a registered medical practioner.